A new study conducted by Yale School of Medicine researchers has revealed that about 60% of academic clinical trial results were not being shared after completion. According to the study report, which was published in the British Medical Journal, less than 40% of results for clinical trials conducted at leading academic medical centres were shared within two years of completion. The research team reviewed more than 4,300 clinical trials, and analysed how many were published or had results reported on ClinicalTrials.gov within 24 months of the studies’ completion. The examination also revealed that some institutions disseminated 16% of their completed clinical research, while others disseminated about 55%. Yale School of Medicine cardiology assistant professor of medicine and a researcher at the Yale Center for Outcomes Research and Evaluation Dr Nihar Desai said: "Not only was performance poor, but there was significant variation across the academic medical centres we studied. "Researchers also have an ethical responsibility to the patients enrolled in the study to make the results available. "Not only was performance poor, but there was significant variation across the academic medical centres we studied." "Providers and patients will never be able to make evidence-based health care decisions if the data is not in the public domain. In addition, future research cannot benefit from what other researchers have already done if results are not reported and/or published in a timely fashion." Previously, the Desai-led team examined the rate of result-reporting and publication of clinical trials sponsored by the National Institutes of Health and pharmaceutical companies. Desai added: "This is yet another blind spot in the clinical research enterprise, and we hope our findings will serve as a call to action. "Academic medical centres are uniquely positioned to lead this effort. They are dedicated to generating knowledge to improve health and health care. "We hope our study will lead to a renewed commitment to our professional values and the mission of academic centres to not only conduct rigorous scientific investigation, but to share the results in a timely and transparent fashion." 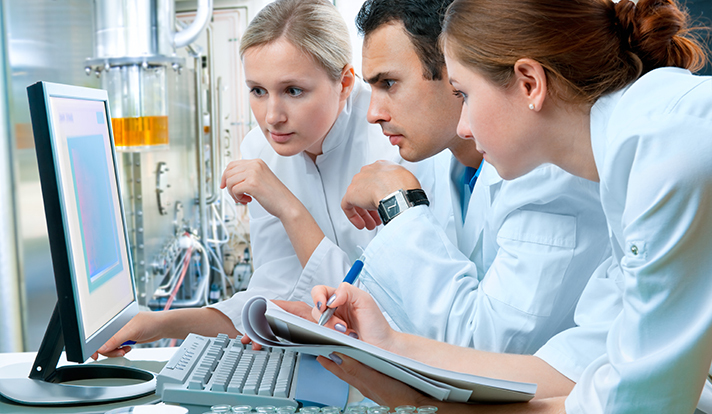 Image: A team of researchers analysing results of a clinical trial. Photo: courtesy of Shutterstock.